The Vixen Optic's SSW 83&Deg; Ultra Wide Eyepiece delivers an immersive observational experience through a combination of optics and coatings that work together to produce bright and clear images across the entire expansive field of view. 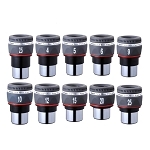 Its performance starts with a seven-element lens design using high-transmission/low dispersion lanthanum and exotic glass which limits distortion (spherical aberration) and color fringing (chromatic aberration) for edge to edge sharpness with true color rendition. Complementing the glass are proprietary anti-reflection optical coatings which increase contrast and help transmit the light through the system with very little loss. 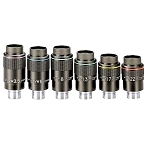 Designed with a 1.25" barrel for use with the most popular focusers and accessories, each eyepiece in the series has its own unique color for easy identification at a glance. The color is an anodized finish on the aluminum body so it not only acts as an identifier;it protects the exterior as well. Rounding out the features is a 13mm eye relief, a retractable eyecup, and an hexagonal anti-roll design. 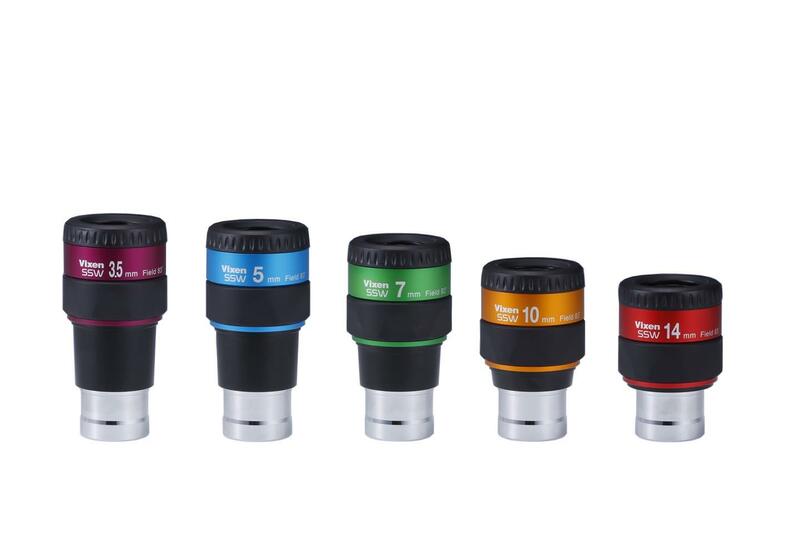 The SSW series of eyepieces are made by Vixen in Japan.